Harry Love of the classics department at the University of Otago (right) has translated and produced Greek drama for the department since 1994, and has written original plays based on classical works. 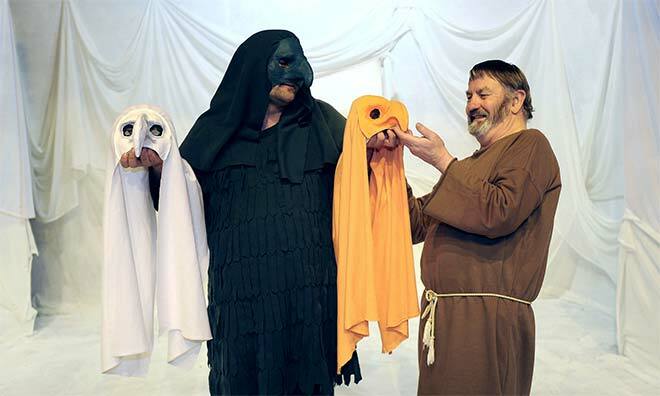 In 2010 the department performed his play All's well that ends, which is structured like an ancient Greek play. Two of the main characters are historical figures, the playwright Aristophanes and the philosopher Socrates. Here Malcolm Lay (left) and Love rehearse the play.